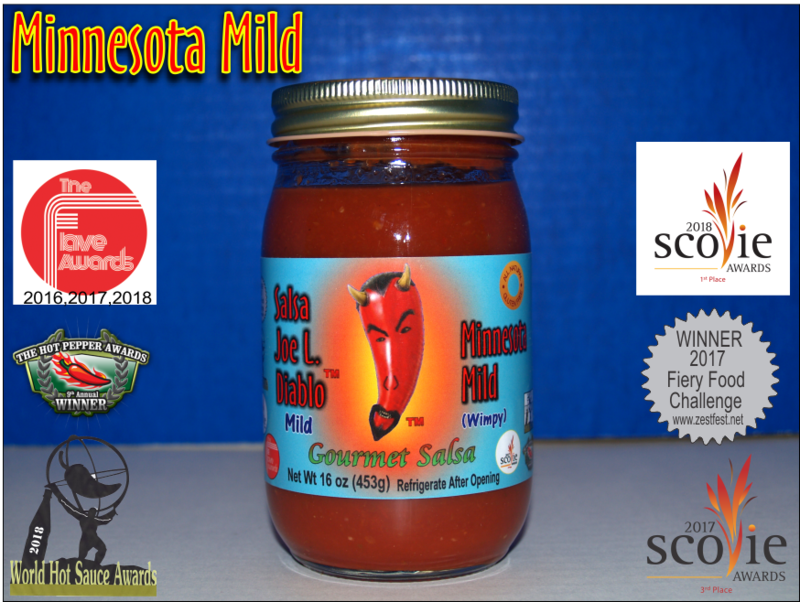 Multiple Award Winning Minnesota Salsa with a southwest attitude! 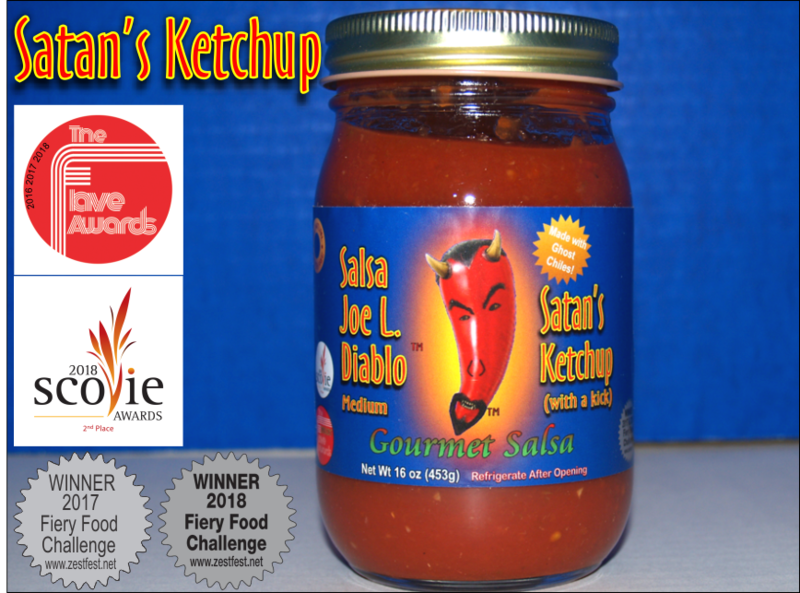 We are a small company making delicious salsa using ghost peppers for flavor and heat. 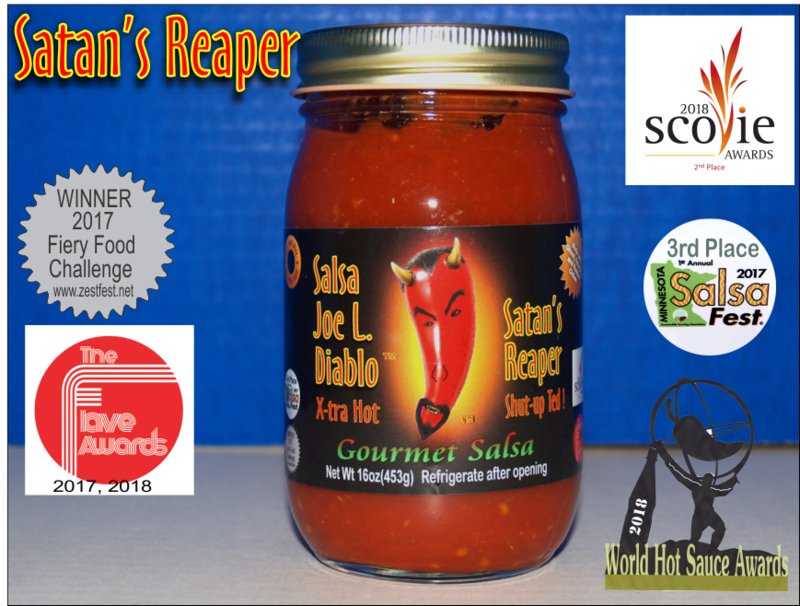 Currently we offer 5 varieties of salsa a mild named Minnesota Mild, a medium named Satan's Ketchup, a medium Pineapple Mango named Devils Delight and a Hot named Satans Tears and Extra Hot Named Satan's Reaper. If you think black pepper is spicy then Minnesota Mild is for you. If you prefer a littke kick at the end then Satan's Ketchup should put a smile on your face. 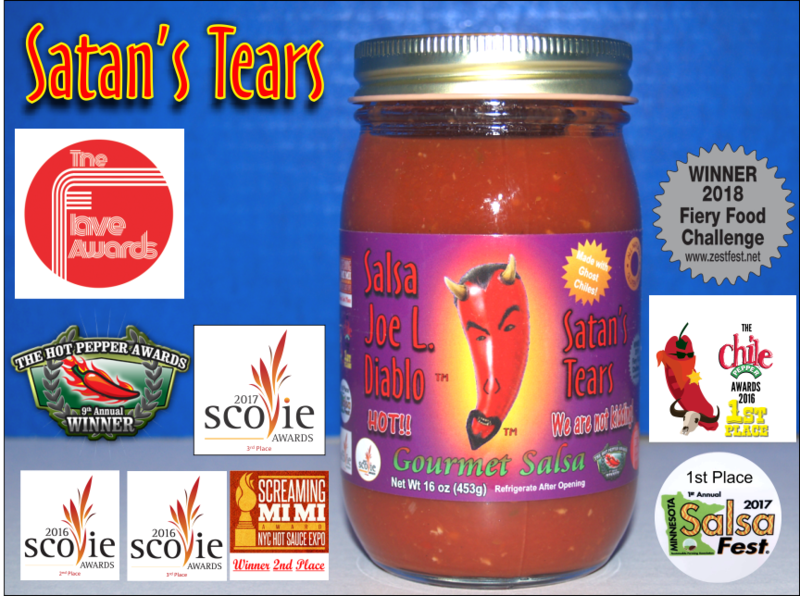 Devils Delight is sweet heat, first the sweet then the heat and Satan's tears will warm your insides, your tongue won't be burned but you will start sweating and wonder why and Satan's Reaper will is at a level that the most of the heat junkies can appreciate with good flavors in all the salsa and a variety of heat for all. 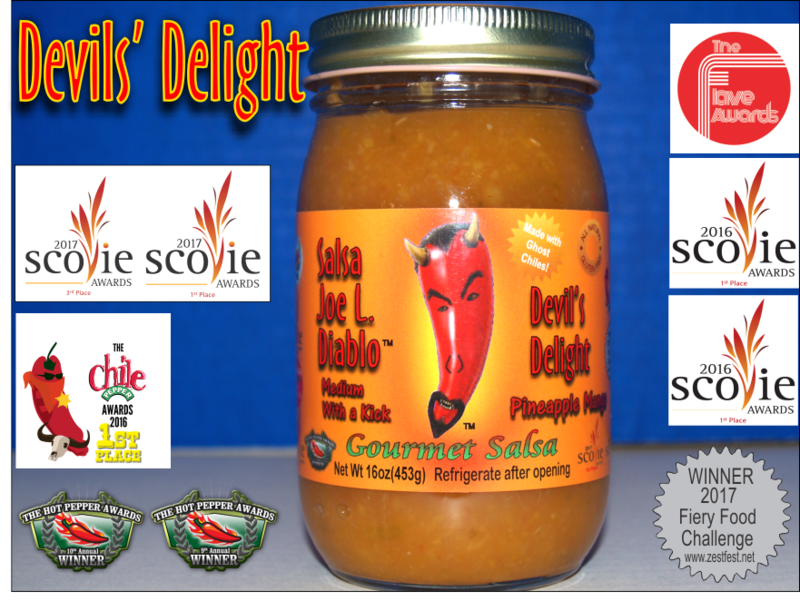 Pease try our salsa and be prepared to want more. If you are local to Rochester and would like to order online please call or send us an email, we can work out some form of delivery, or will call. All of our Salsa is gluten free and Vegan Approved by our resident vegans. It is all natural and no preservatives. The red Salsas have only 90mgs of salt per serving, comapared to other salsas which have between 180mgs and 310mgs. I suppose you could say we are low salt, best of all the entire jar is only 75 calories. Devils Delight is only 45mgs of salt, the calorie count is higher because of the pineapple and mango. **** We are sorry but at this time we can only accept orders being shipped within the United States. In time we hope to add more shipping destinations, Thank you for your understanding.